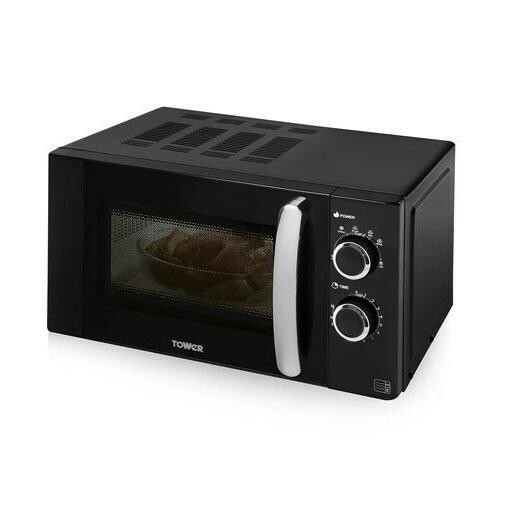 The Tower T24009 Manual Microwave is a great kitchen appliance which allows you to effortlessly cook or reheat your food, the large 20 litre capacity allows you to easily fit your food inside the microwave while the glass turntable rotates the food during the cooking process to give an even, thorough cook. 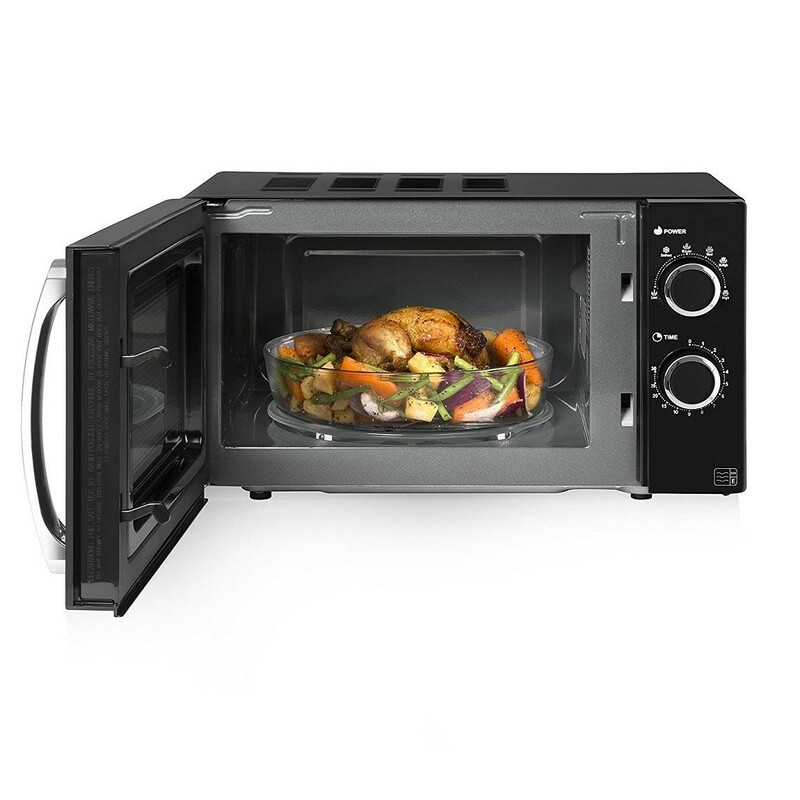 The 800W power ensures you can quickly and efficiently cook your food, the six power levels including a defrost setting combined with the manual 30 minute timer help you cook your food to perfection. The pull door handle makes it easy to open and the glass turntable can be removed making it easy to clean.